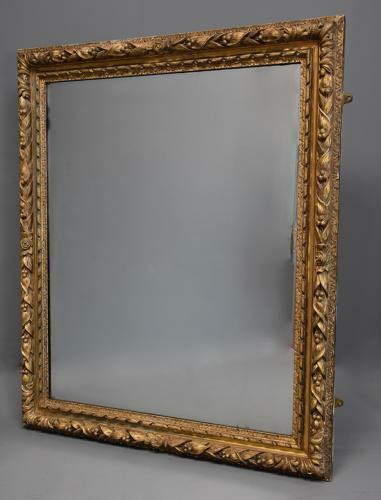 This mirror consists of a deep carved giltwood frame with floral, foliate and berry decoration with carved twist design with original panelled back. The original mirror plate in good condition with slight foxing but this does not affect the reflection. This mirror is in good, original condition for age, is of stable construction and can go straight into a home.